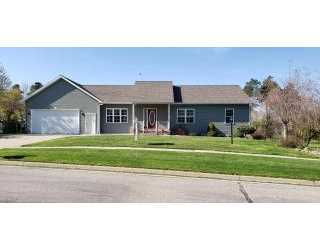 This 13 year old Residential Home for sale which is located at 606 Gregmark Lane Ionia MI 48846, has been listed on viewmylisting.com for 155 days and is currently for sale. 606 Gregmark Lane is in the school district A. A. Rather School of MI and in Zip Code 48846. Greenridge Realty, Inc. has listed this property for $279,900. 606 Gregmark Lane has 4 bedrooms and 3+ bathrooms , approximately 1500 square feet , Interior Air Conditioning or cooling includes Central , Other fireplace(s).